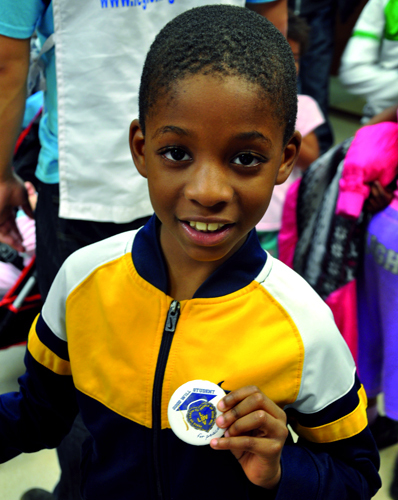 The Charity Round is a program that provides food assistance and distributes clothes, blankets, and informative publications directly to residents of homeless shelters and underprivileged families in the New Jersey and New York region. The increasing number of families, single parents, and children that are living in homeless shelters is alarming. 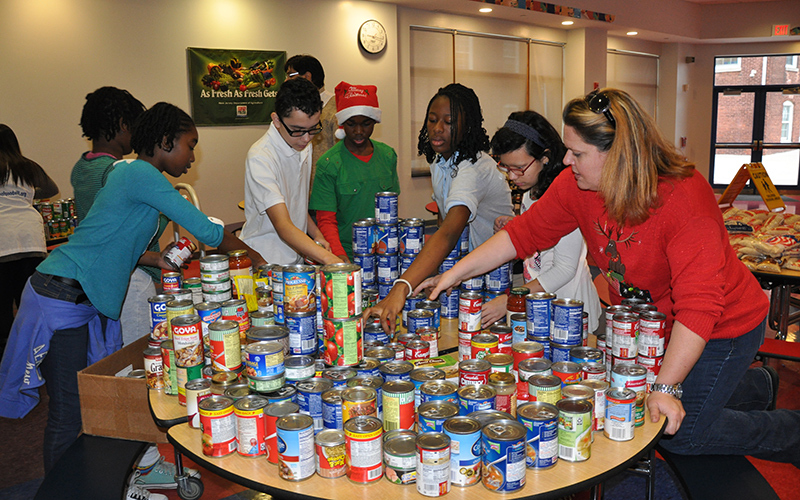 Hunger is still prevalent in most cities across the country. New Jersey has been particularly affected -- nearly one million people in the state are living in poverty (according to the U.S. Census Bureau). 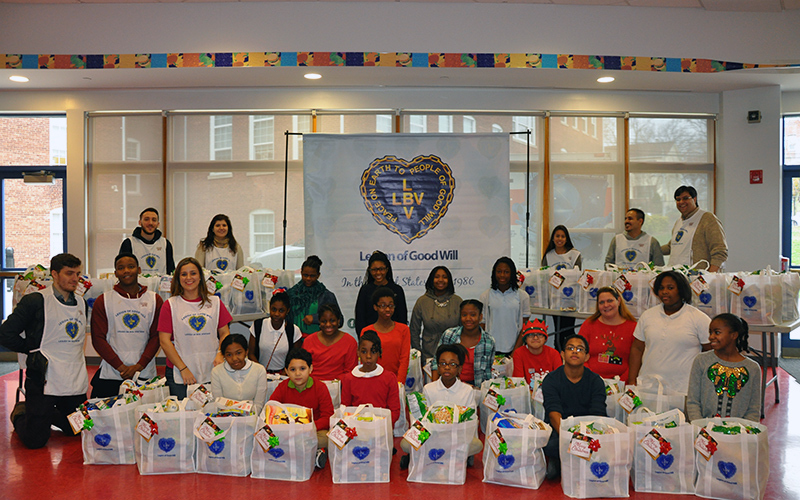 The LGW is continuously motivated to provide relief to these disadvantaged individuals and families in many ways. The Charity Round program provides the homeless with nutritious and fresh meals, soup, fruits, vegetables, water, hygiene items, female-care products, baby items and clothing. 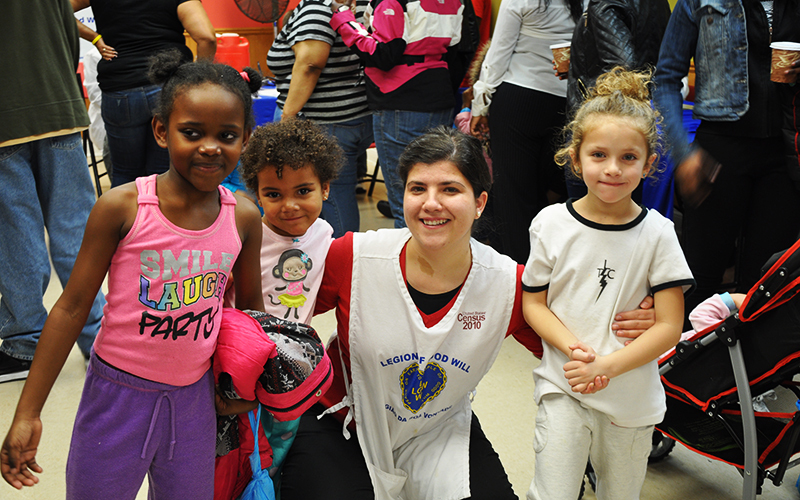 With the help of community partners like Rutgers New Jersey Medical School, the LGW offers blood pressure screenings, glucose screenings, and educational workshops on physical health, mental health, and hygiene. Volunteers do not bring only food assistance and distributes clothes, blankets and water to those underprivileged people in shelters. They also seek to offer them spiritual comfort by working on their self-esteem and other important psychological aspects. 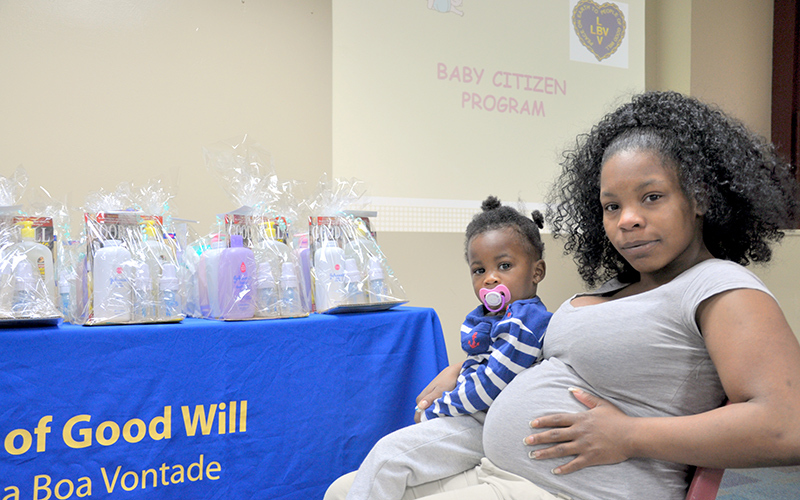 Around Mother’s Day every year, the Baby Citizen program assists current mothers and mothers-to-be who are at social or economic risk. Its goal is to improve maternal health and reduce child mortality. Mothers receive information on what they can expect throughout the stages of gestation and the development of their children. The Legion of Good Will has partnered with Rutgers New Jersey Medical School to provide informational workshops and services to mothers. Each family is provided with baby essentials to support the newborn in its beginning days after birth. If you would like to donate baby items or related in-kind gifts, please contact us. 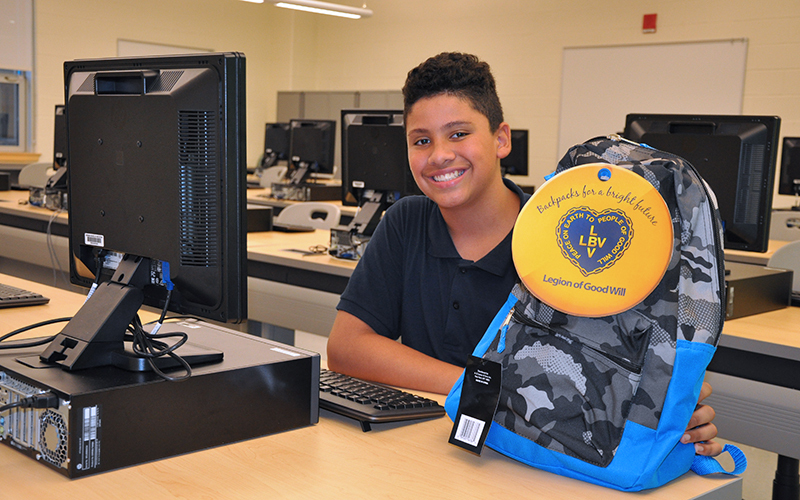 At the beginning of a new school year, the Backpacks for a Bright Future campaign aims to provide low-income children with the necessary tools for a motivated and successful new school year by eliminating the deprivation young students may face when they do not have the same materials as other classmates. 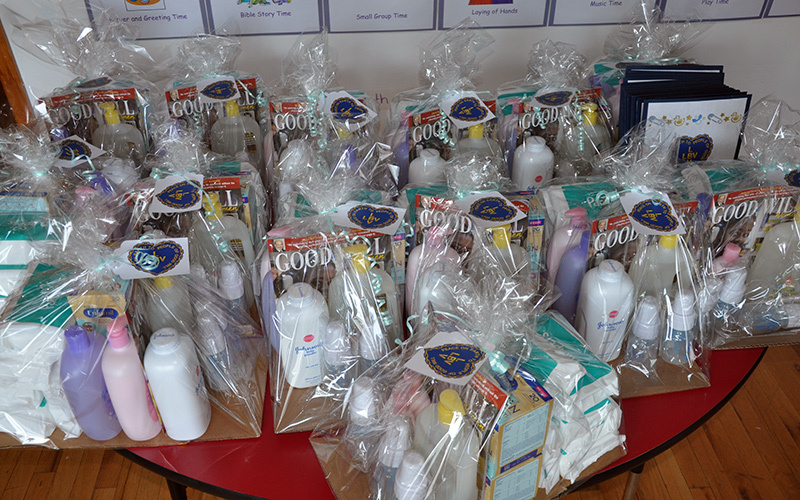 The program has a profound effect on the children, but also on the parents who are unable to afford these supplies. 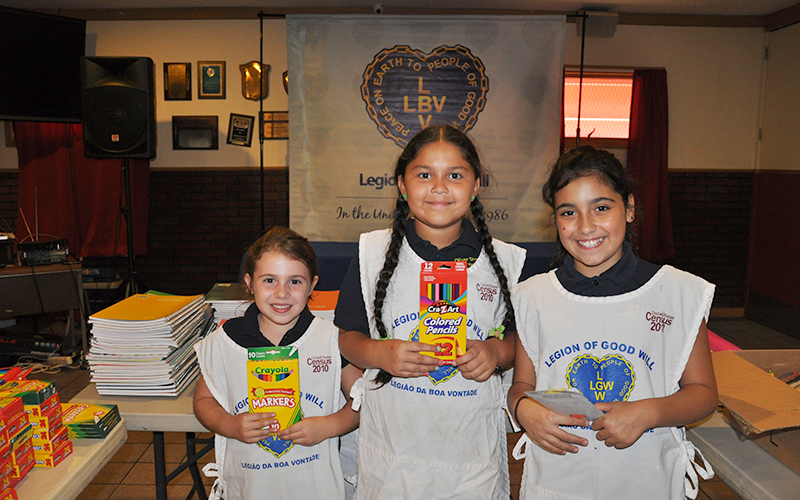 The LGW believes that high-quality education is the key to overcome social inequalities and, through this program, children at social risk receive a true winning chance to break the cycle of poverty. 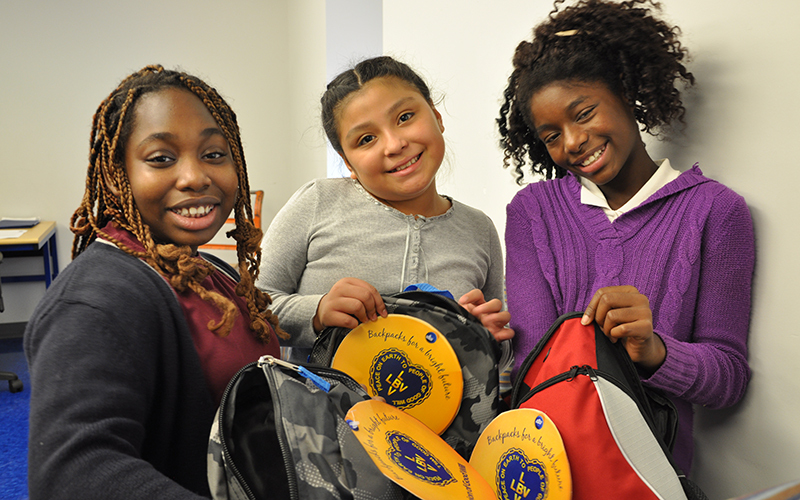 Students at the Lincoln Avenue School in Orange, New Jersey open backpacks to check the supply granted during the LGW's Backpacks for a Bright Future Campaign, 2016. If you would like to donate school supplies, please contact us. 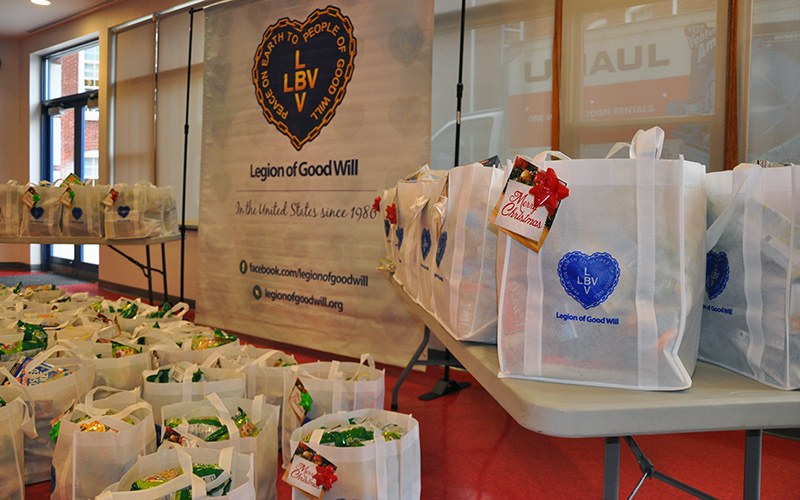 During the holiday season, the Legion of Good Will emphasizes the importance of solidarity and altruism by distributing food baskets to families living in abject poverty. Each basket contains non-perishable food for a family of four. Our Everlasting Christmas campaign is the conclusion of the educational and social assistance work that we carry out with these families throughout the year. If you would like to donate non-perishable food, please contact us. 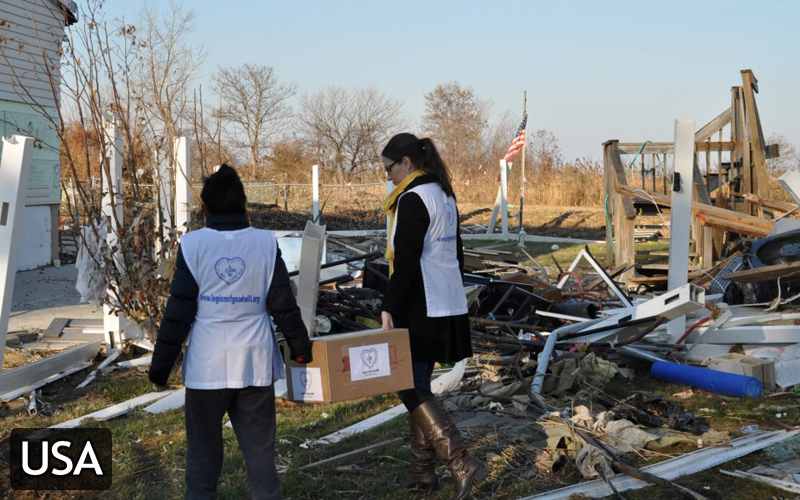 In times of emergency or natural disasters, the LGW carries out immediate and urgent actions to help people with relief items such as non-perishable and ready-for-consumption food, drinking water, clothing, footwear, personal hygiene items, cleaning products, and also provide first-aid assistance.